Do you want to keep track of the latest cyber attacks? There are various ways to do this, you can read the news which is being published on cyberconflict reporting websites, you can read reports, you can view videos but you can also keep your eyes on live cyber attack maps. The cyber attack maps will show you a real-time feed of attacks which are being performed world wide. The information which is provided is collected from honeypots which collect the shown information. 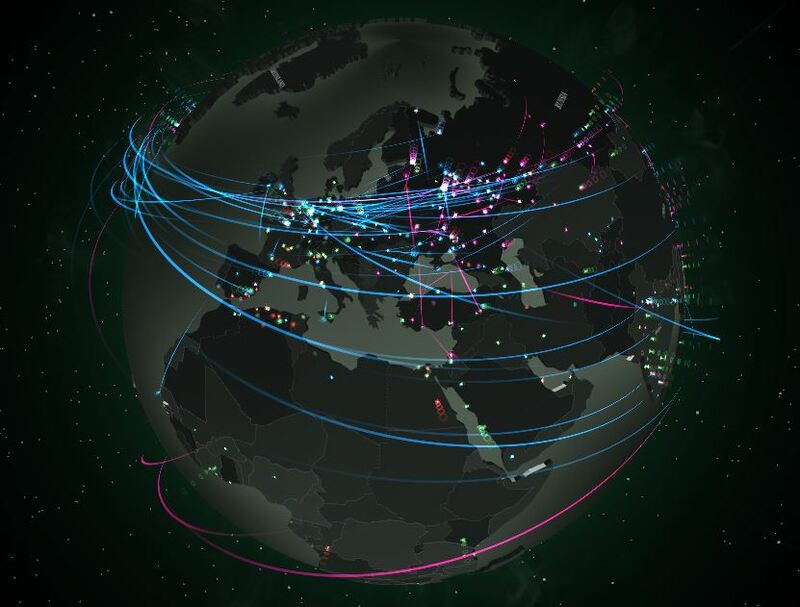 The first Cyber Attacks map which will grab your attention is the Kaspersky Cybermap which has been developed by Kaspersky to show the world a real-time feed of attacks. It looks like that they have used the Google Earth environment to build the Cybermap environment, it works exactly like the Google Earth application.